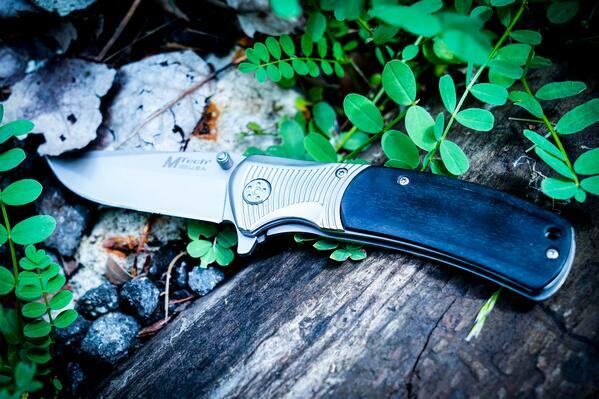 Enter the survival knife, one of the most capable tools for any expedition. 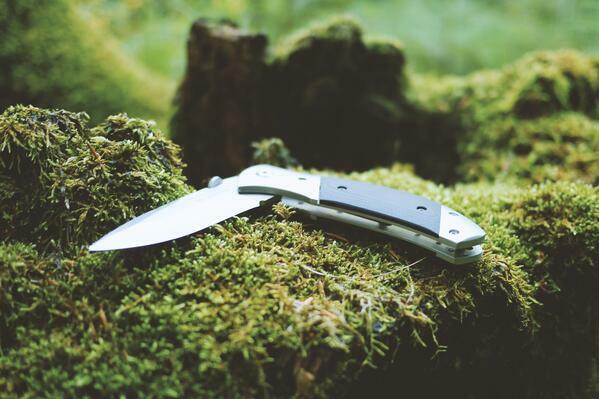 A tactical survival knife can serve in many roles, including first aid, setting up camp, foraging for food and plenty of other situations you may not have considered. Setting up a good sleeping space is one of the most important aspects of outdoor survival. Knives can come into play in several ways, starting with their ability to clear away brush and other foliage. The performance isn’t going to match that of a quality machete, but it’s far preferable to pulling up plants by hand. Hammering, as with tent stakes, is not recommended. In many cases you can do an equally good or better job with a nice, solid rock. If you must substitute your survival knife for a hammer, however, use the handle’s heel (called the pommel) and leave the sheath on while you work. This type of blade certainly won’t be cutting down any trees, but when it comes to hacking off branches and sticks, you’ve got the right tool for the job. 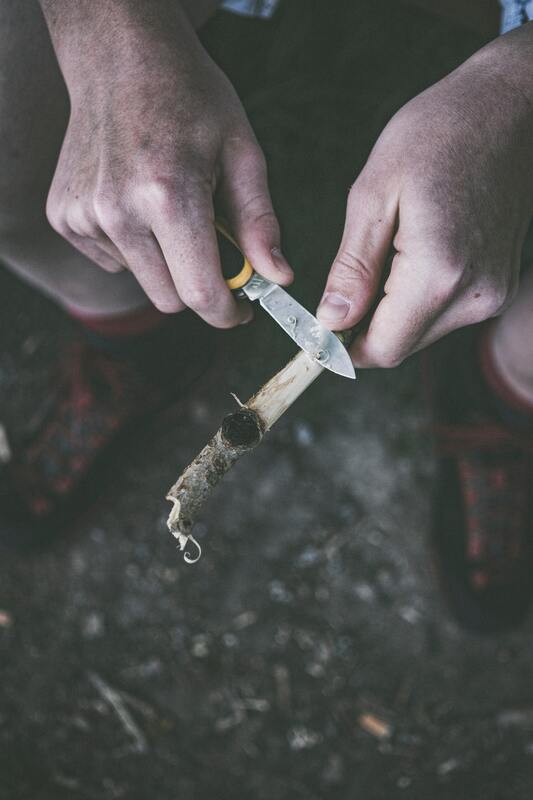 Beefy survival knives can also be used for splitting larger chunks of wood to create kindling. This is usually accomplished by placing the blade against an upright log and striking the knife’s spine with another solid piece of wood. Carrying another small tool, a ferro rod, will allow you to create fires with the knife used to scrape and create sparks. All you need is a little tinder (cotton infused with petroleum jelly works well if you have the pack space) and you’re on track for a serviceable blaze in virtually any situation. If you don’t want to worry about packing and remembering another tool, there are some knives that come with a pre-assembled survival kit in a sealed compartment of the hilt! Others have the hilt compartment, but no kit, letting you create your own. Either way, it’s not a bad idea to have all of your survival essentials with you in one convenient-to-carry area! While a survival knife isn’t usually your first option for hunting game, it can be put to use in many other aspects of food prep. Keep in mind you’ll need a well-sharpened blade, and likely one that’s thinner and capable of performing the same tasks as a kitchen cutter. This type of tool is useful both for skinning and filleting, making it useful for fish as well as animals. If you find yourself without traditional first aid supplies, think about your knife. It may be just what’s needed to cut strips of cloth for bandages, tourniquets or other emergency applications. Additionally, a (sterilized!!!) knife tip can be a lifesaver when it comes to splinter removal. As with any tool, it’s important to look at the cons along with the pros. Any sharp instrument can be dangerous when mishandled, possibly resulting in serious injury. Furthermore, improper use can damage or destroy even the toughest tools, knives included. It’s not recommended that you use a knife in the following ways, unless there are no other options. Digging, Chipping, etc. Any repetitious stress on a blade can quickly dull it, especially if you’re working against particularly tough materials. Be wary of using knives for ice chipping, clearing dirt or other work that may blunt the edge or the point. Stake Replacement. In a pinch, a knife’s certainly not your worst option, but keeping tents or other lightweight items stuck down isn’t usually advisable by this means. For starters, multiple stakes are generally required to create any sort of reasonable hold. A single survival knife probably isn’t enough on its own – and if it’s a windy night, you really don’t want the tent blowing back, pulling the knife stake up, and then having a knife whipping around in the wind. Plus, it’s another fast way to dull your blade. Self-Defense. 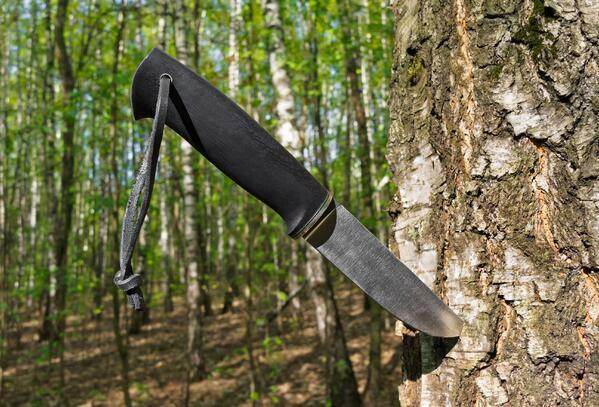 It might sound strange to suggest, but a survival knife isn’t always your best bet when faced with imminent danger. Whether the threat is animal or human, using a short weapon like a knife can place you in harm’s way. Even those experienced in knife training and fighting will tell you that a ranged weapon, like a tree limb or sturdy tent pole, is better for keeping threats at bay. You should also keep in mind that a knife could be taken and used against you, so be realistic about your experience and capability. However, in a true life-or-death situation, if you’re going to go all-out to defend yourself, having a knife is preferable to not have one. Before tackling the wild, always make sure you have a good understanding of all your skills and limitations. Follow basic best practices: familiarize yourself with the area you plan to hike/camp in, know which resources are available and which you’ll have to bring (like plenty of water and food! ), be weather-aware, and make sure someone outside your group knows where you’re going to be and for how long. Stay smart, and stay safe!